Using sst, remove the sensor from the front exhaust pipe. 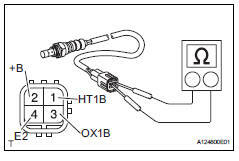 If the resistance is not as specified, replace the sensor. 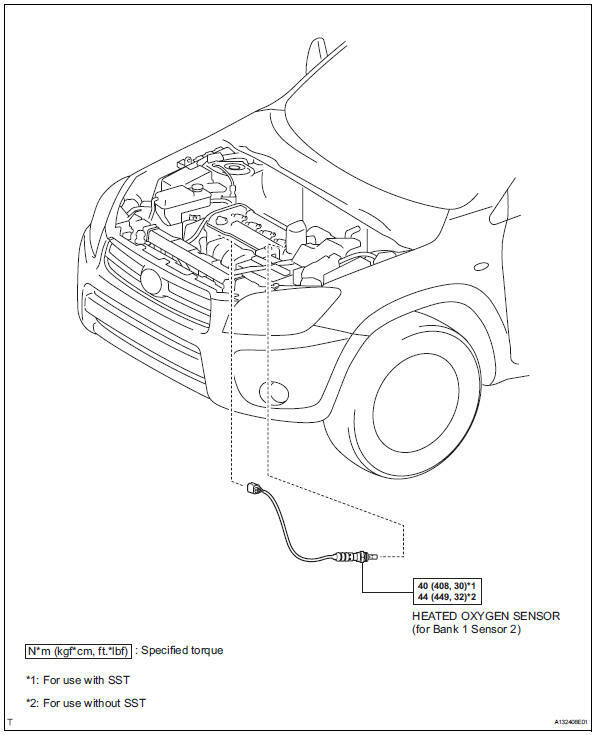 Using sst, install the sensor to the front exhaust pipe. 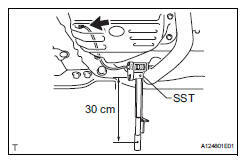 Use a torque wrench with a fulcrum length of 30 cm (11.81 In.). 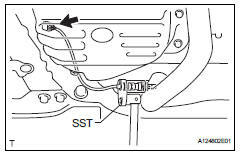 Make sure sst and wrench are connected in a straight line.